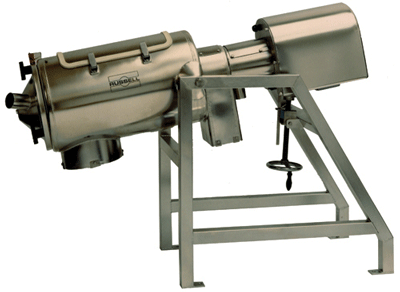 The Russell Compact 3in1 Sieve has been specifically designed for hand fed ingredients that need to be checked screened with low-level bag emptying in mind. High performance separators that offer a cost effective solution to virtually any screening requirement, including sizing, scalping, safety screening, grading or product recovery. The Blow Thru Sieve improves the quality of your products before it enters your production process. Designed to remove oversize contamination from your powders during dilute phase pneumatic conveying. Capable of simple safety screening as well as accurate grading of powders & granules. 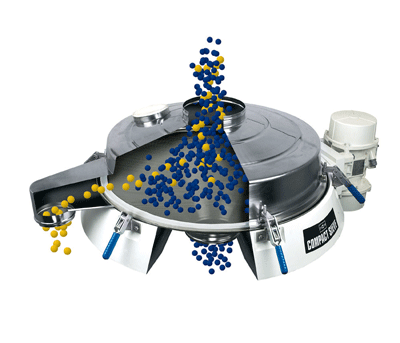 High-speed versions are also available for screening difficult powders and high viscosity liquids. Check screener that provides substantial improvements in product containment, uses a patented TLI (Twist, Lock and Inflate) pneumatic clamping system offering a highly consistent seal. Vibrating screens for safety and check sieving to improve your product quality ideal for high capacity safety screening of powders and liquid slurries. Removes oversize contamination from your powders during dilute phase pneumatic conveying, ideally suited for check screening while tanker unloading coping with throughputs as high as 60,000 lbs/hr. 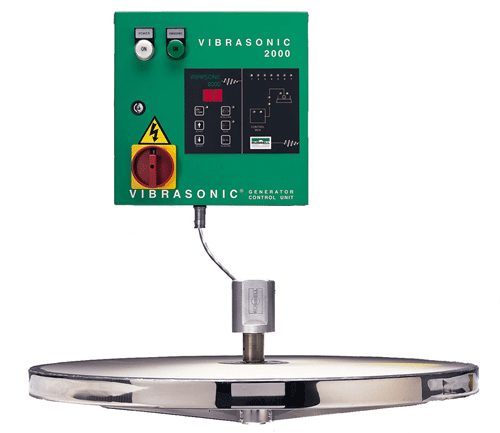 Vibratory separators designed for accurate grading or sizing of wet and dry materials up to five fractions in one operation. The multi purpose machine deals with soft and fibrous oversized solids in virtually any process. 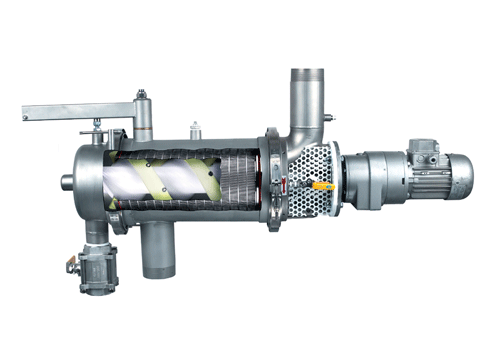 Centrifugal action provides high capacity separation on meshes down to 20 microns. In-line filters for both industrial and sanitary applications. Remove oversize contamination from 10 micron upwards. No need for bag filters or cartridges and significant wastage reductions. Enables check-screening and pneumatic conveying of material from storage to the next process stage. Powders can be check screened in one dust tight operation, reducing risk of product inhalation. Designed for safety screening products from low-level bag emptying. The straight-through design provides clearance between the sieve outlet and the floor. Removes oversize contamination. 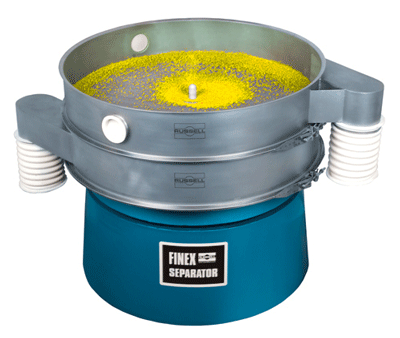 Simple and easy sifters remove contamination from small batches of liquids or powders. Improves product quality and safeguards reputations. Ideal for small batch processing in all industries.